See all of our other tweets on Twitter. A transparent process to make your Microsoft Office files two times files smaller. How does Image File Optimization differ from Zip compression? Microsoft Exchange Outlook Attached Files, Impact on Storage, Network and Performance. How emails with attached files consume your MS Exchange storage, network bandwidth and impact performances. Detailed analysis and proposed solution. Reduce the size of files stored on file servers (by 50% on average). (smaller files are served and downloaded faster). Reduce your file server network bandwidth needs. 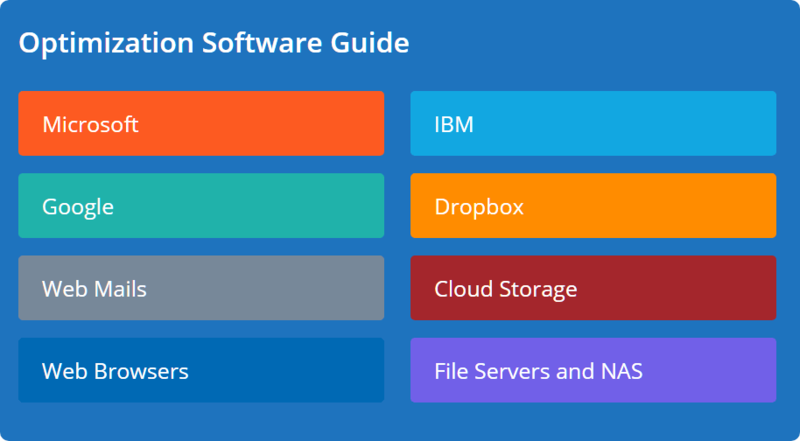 Prepare the migration of your file servers to the Cloud. Reduce the size of all files uploaded and stored in SharePoint. Double file upload and download speed. Keep your SharePoint infrastructure costs (network, storage, servers) under control. No more "SharePoint is slow" complaints! Accelerate new SharePoint projects adoption!